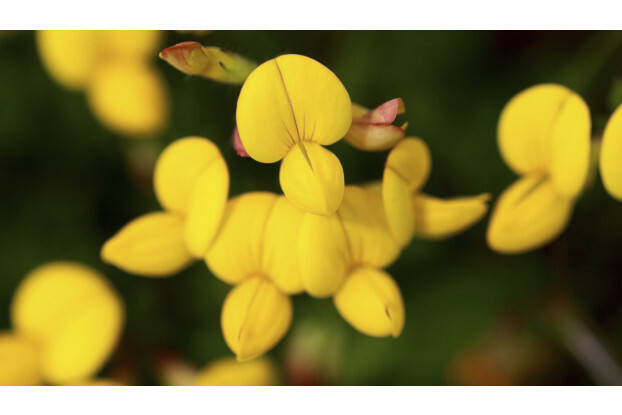 Native to Europe and Asia, birdsfoot trefoil is a long-lived herbaceous perennial legume. It’s useful in many situations including erosion control, wildlife forage and livestock use. Birdsfoot trefoil is especially valuable for its non-bloating properties. Can be grazed as pasture or hayed where it yields up to four tons of hay per acre under proper conditions. It can grow up to three feet tall and produces a cluster of yellow flowers. Tolerates soil conditions too poor for alfalfa. Birdsfoot trefoil can be grown without supplemental irrigation on sites receiving at least 20 inches of annual rainfall.